My work is my passion – I love writing. A City for Her: How do you feel today? Hazel Manuel: I feel accomplished – I’m getting a lot done from my ‘to do’ list. A City for Her: Where are you right now? Hazel Manuel: I’m in front of the fireplace in the dining room of my countryside house in the Loire Valley. It’s a cosy place to work. A City for Her: What are you drinking? Hazel Manuel: Hot chocolate made with almond milk – delicious! A City for Her: Where are you from? 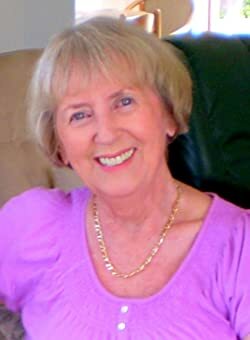 Hazel Manuel: I’m from London, UK but I spent most of my adult life living in the wilds of North Wales – for the most part on the island of Anglesey. A City for Her: How many languages do you speak and which ones? A City for Her: How long have you been living in Paris? Hazel Manuel: It will be six years in July. A City for Her: Why Paris? A City for Her: What is your favourite place/venue in Paris? Hazel Manuel: There are lots! I meet a lot at Café Bords de Seine at Place du Chatelêt – nice view of the conciergerie, the staff are fab and always top up my happy hour wine J . There is a great falafel place in the Marias – good for a vegetarian lunch. I like Place St Catherine and Place des Vosges in the summertime. I also love Krishna Bhavan near Gare du Nord – wonderful south Indian food and great for a hot chai on a winter’s day. My absolute favourite gallery is the Musée Rodin. A City for Her: The last A City for Her event you have attended? Hazel Manuel: It was a series of workshops on branding. A City for Her: Which is your favourite city in the world? Hazel Manuel: Kanyakumari, in southern India. It inspired my first novel which bears the same name. A City for Her: In which city would you like to live at least once in your life? Hazel Manuel: Somewhere in Italy. A City for Her: Any hobbies or passions? Hazel Manuel: My work is my passion – I love writing. I also love reading. A City for Her: What is the last book you read? A City for Her: The last movie you saw? A City for Her: Why do you wake up in the morning? Hazel Manuel: It probably has something to do with cortisol levels J but I imagine you mean what makes me get out of bed – I always have something interesting to do. A City for Her: What is the first thing you do in the morning? A City for Her: What do you do now? A City for Her: Where will you be and what will you do in three years? A City for Her: What do you need to achieve today? Hazel Manuel: Not exactly today but in general – my novels to be translated and published in France. A City for Her: What is your favourite quote? A City for Her: What is the best advice you’ve ever received? A City for Her: Which woman in your life inspires you the most and why? Hazel Manuel: The novelist Sheila Mary Taylor. She is 89 and still writing, still travelling and still photographing the sunrise every day. A City for Her: – in Paris? A City for Her: – in some other Cities in the world?